Successfully Added M-Horse Pure 1 Android Phone - 5.7 Inch Display, 3GB RAM, Dual SIM 4G, 4380mAh Battery, Android 7.0 to your Shopping Cart. If you want a cheap phone running on Android 7.0 and with 4G support and fingerprint scanner the M-Horse Pure 1 fits the bill perfectly. A 5.7-inch screen makes this a phablet device and with its 3D curved glass and great design, it feels comfortable in your hand. The M-Horse Pure 1 has two SIM card slots and operates on 4G B1/B3/B7/B8/B20 frequencies. Along with the 3G network support you have versatile coverage in a good range of countries. The rear of the phone has a fingerprint scanner as well as dual camera setup and LED flash. So not only can you secure all your files with biometrics but you can snap great shots as well. The phones 5.7-inch screen offers 1440x720 HD graphics and with the MTK6737CPUI and 3GB of RAM, it can handle most games and multitasking with relative ease. You will 32GB of onboard storage and this can be expanded with the micro SD card letting you add a further 256GB of space. Another upside to this smartphone is the 4380mAh battery that brings long usage times from every charge. Overall the M-Horse Pure 1 offers a compelling package to meet your smartphone needs without breaking the bank. 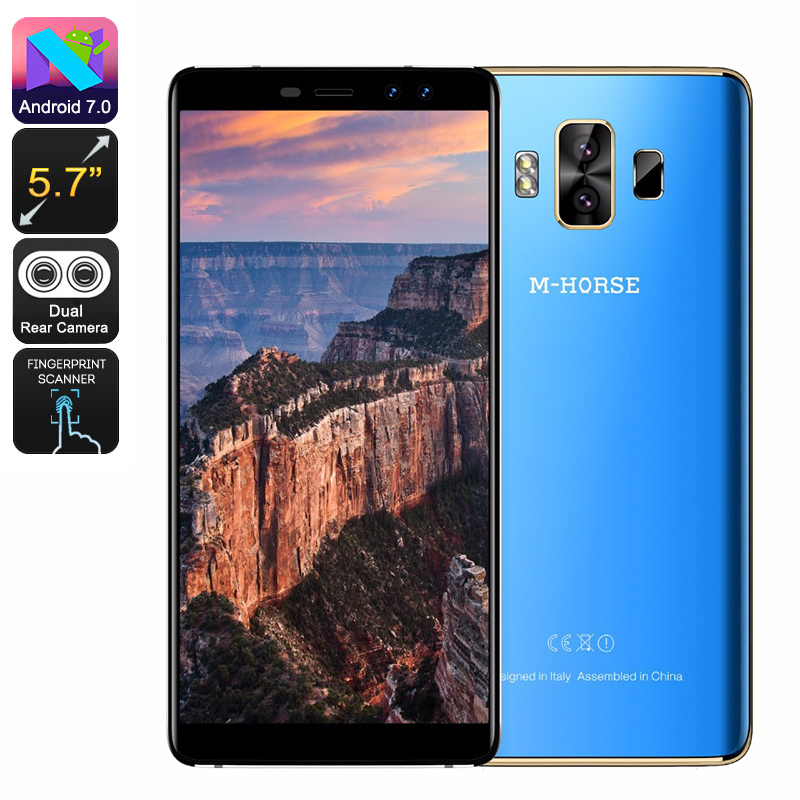 The M-Horse Pure 1 smartphone comes with 12 months warranty, brought to you by the leader in electronic devices as well as wholesale android phones and cool gadgets.